Reginald James Bartley was born at Armidale, NSW, on 3 February 1899, the son of Henry and Annie P Bartley of Forbes. On 12 November 1928 at Woollahra, NSW, he married Florence Teresa, daughter of Frederick Dunn, and they had one daughter. He died at Bellevue Hill on 16 January 1982 and was privately cremated. Bartley was educated in NSW and New Zealand. He was admitted as a solicitor of the Supreme Court of NSW on 21 February 1929. He was a director of several public companies. He lived at Drumalbyn Road, Bellevue Hill, and was a member of the Australian Jockey Club, Tattersall’s Club, and the Masonic Club. He was a member of the Sydney Turf Club and was elected a Director in April 1945. Bartley served as foundation president of the British Centre established in Hyde Park during the later years of World War 2 to provide amenities for British servicemen in Sydney. He was vice chairman of the National Emergency Service in 1942. He was President of the NSW Branch of the Australian Comforts Fund 1943-46 and of the Lord Mayor’s Food for Britain Fund. Rushcutters Bay oval was renamed the Reginald Bartley Oval in his honour and in 1959 the King’s Cross branch library was renamed the Florence Bartley Memorial Centre to honour his wife. 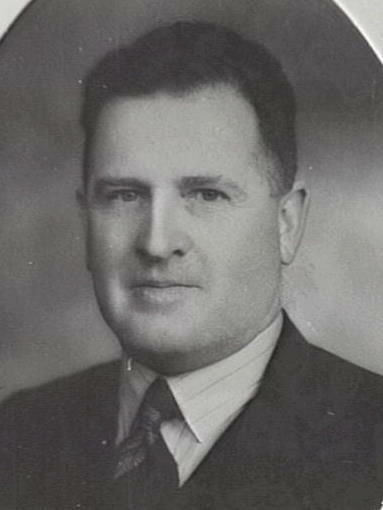 Reginald James Bartley was elected to Vaucluse Municipal Council on 4 December 1937 and resigned in July 1946. He was Mayor of Vaucluse in 1941 and 1942. Bartley was Alderman for Macquarie Ward on the City of Sydney Council, 6 December 1941 to 1 December 1944, for Gipps Ward, 2 December 1944 to 4 December 1953, and for Macquarie Ward, 5 December 1953 to 4 December 1959. He was a member of the Works Committee, 1942, 1949-51 and 1957-59, the Electricity Committee, 1942, the Health and Recreation Committee, 1942, 1949-51, and 1957-59, the Finance Committee, 1945, and 1951-59, the City Planning and Improvements Committee, 1945, and 1951-54 and the Special Committee on National Emergency Services, 1942. He was a Founding member of the Cumberland County Council and Councillor from 1945 to 1946. Bartley was a member of the Citizens Reform group. 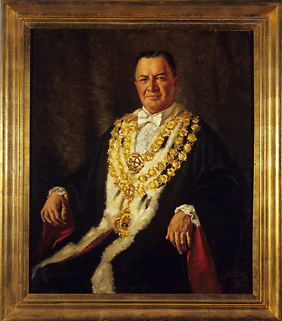 He was elected Lord Mayor of Sydney five times from 1943 to 1944 and from 1946 to 1948.